The Italianavera tomato sauce with fresh basil is a natural sauce prepared with the best Italian tomatoes, high quality extra virgin olive oil and lots of freshly picked basil. It has a delicate taste but with personality and lends itself to excellent first courses, but it can also be a base to season meats and bruschetta. It is very digestible and suitable for small children too. It is bottled in glass in order to guarantee freshness for a long time. Its aroma evokes the smells of the past when our mother used to prepare the tomato sauce in the kitchen for the whole family. Italianavera tells a story, recounting a territory and its products. Through flavours or aromas of the past, these fruits of the earth take us back to the simplicity of the ritual gestures derived from ancient traditions. They describe Italy in all its facets, about Mum cooking and grandmother preparing Sunday lunch. And we tell of tomatoes, with style and humour. Because being Italian is a culture, a lifestyle, and the will to recount the simplicity of daily life made up of good things and imagination. An imagination that you can eat. The authentic Italian way. Italianavera. There are moments in life when you realise that something has changed inside you. That it’s time to pursue your own dreams and passions. My passion for tomatoes started long ago, in my homeland. 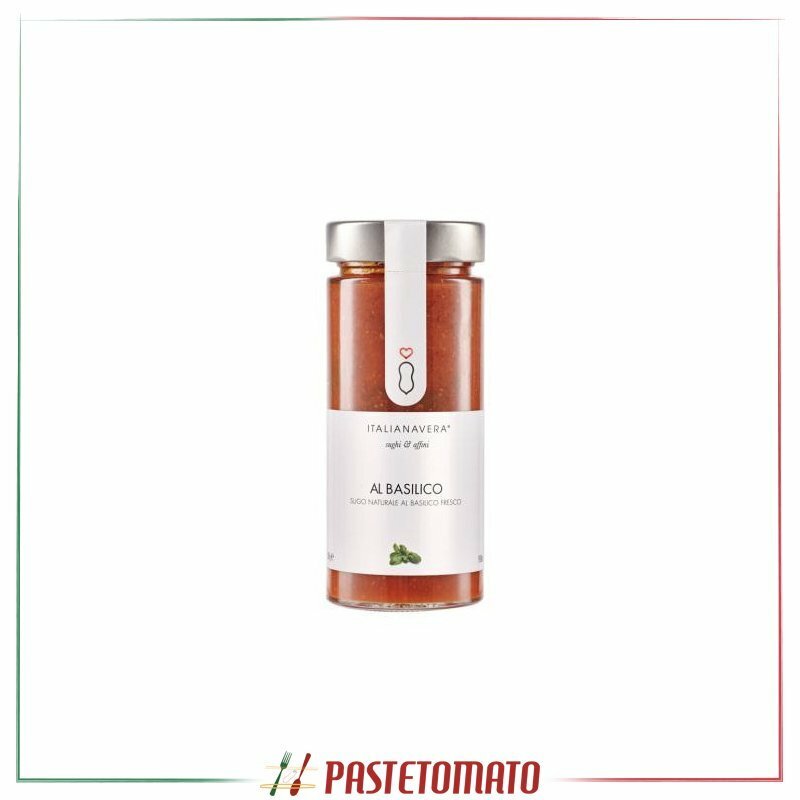 In San Marzano sul Sarno there is not only the family’s first company, but also my roots. There, I was lost in my thoughts as a child, in my desires as a woman and I dreamed that one day I would have created something that spoke about me. Because the red gold I had in my hands, so fragrant and intense, was true love for the good things. In fact my summers have always been very lively because of the harvest in the fields. The most important work was carried out by women, in choosing the best ripe fruits. I secretly watched these women, watched them getting to work and if I could , I would ask them some more information. I learned from them everything about this all female magical world and I owe all my success to them. Italianavera is more than a brand. It is passion, femininity. It is the story of a woman who has had the good fortune of being born among sprawling fields of tomatoes, in one of the most beautiful places in the world, Italy.